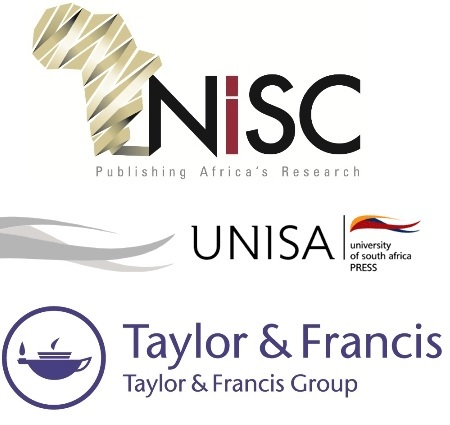 We are pleased to announce that from 2011 NISC will be handling African subscriptions for UNISA Press-Taylor & Francis co-published titles. All journals published by NISC and UNISA Press in collaboration with Taylor & Francis are available exclusively to African customers at discounted South African Rand rates. As from 2011, for ease of purchasing, these titles are now all available for purchase through a single portal, NISC. NISC will also be handling the distribution, claims, online activations and general subscriber support for UNISA Press titles ordered through NISC. For a list of UNISA Press titles that should now be ordered through NISC, please see the pricelist available at here. If you have any queries please don’t hesitate to contact NISC. Taylor & Francis will continue to handle subscriptions and distribution for customers outside of Africa for these co-published titles. UNISA Press will continue to handle subscriptions and distribution for those journals not co-published with Taylor & Francis (see www.unisa.ac.za/press). For further information about the UNISA Press journals and books contact journalsubs@unisa.ac.za. For more information about the UNISA Press-Taylor & Francis co-publishing partnership please visit www.tandf-unisa.com. The subscriptions and distribution agreement between UNISA Press and NISC represents a beneficial and innovative partnership between two leading South African scholarly and scientific journal publishers.